The booze flows both ways between the Golden State and the Emerald Isle. While Americans clink pints of Guinness while trying to slur "sláinte," the Irish are tanking up on top-selling Blossom Hill from a wine factory near Hollister. Either way, Diageo wins—the multinational beverage giant owns both brands. No shocker that Chardonnay tops the list of favorite white wine flavors. Reflecting on a recent tasting of local Chardonnays, however, the genre seems directionless. Seeking to distinguish theirs from the big, oaky-buttery style that is dismissed in all corners and that sells like hotcakes, wineries are toning it down through the use of targeted yeast strains and sophisticated barrel programs. But what's left? At least you can dye it green. 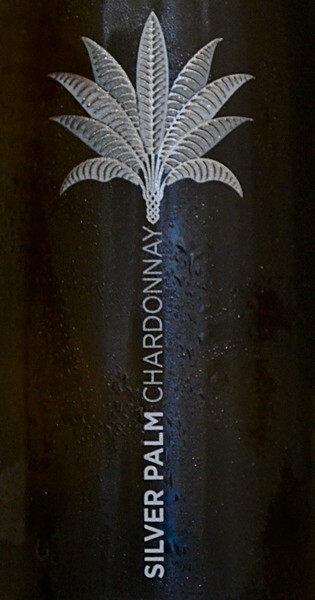 Silver Palm 2013 North Coast Chardonnay ($15) As tropical as the sharp labeling suggests, this has pineapple aromas over dusty oak, Meyer lemon plus butterscotch, and a sweet-bodied finish. Not complex, but it's got personality and drive at a good price point. Matanzas Creek 2012 Sonoma County Chardonnay ($26) It's got a little of the frank toastiness of singed oak, but winemaker Marcia Monahan has banished the winery's famed malolactic strain, so the wine only hints at baked apple and buttery pie crust, and is more woody, austere and dry than you might expect. It's at the top of the list for elegance. Angeline 2013 Signature Reserve Russian River Valley Chardonnay ($16) The aroma veers from wood to green weeds and back, but the palate is consistently semi-rich and glycerin-like, with some citrus zest sharpening up the "this is pretty varietal Chardonnay for the price" finish. Arrowood 2013 Sonoma County Chardonnay ($25) Bitter melon and lemon flavors betray a wispy hint of caramel and well-seasoned oak, and it's fairly dry. But where's the fruit? Rodney Strong 2013 Sonoma Coast Chardonnay ($20) Lime, grapefruit acidity, and so crisp, it's almost like an unoaked style, which is a great way to showcase pure, fresh, fruit. Would that it were so. Cuvaison 2012 Carneros Chardonnay ($25) High marks for quality oak aroma, with hints of bay leaf and savory lees. Elegant, with a light, lemony, citrus spritz on the palate, it looks like an intense and focused, if lean, Chardonnay, but it slacks off on the finish. Sub it for a Fumé Blanc.